Turnkey rental properties can be an awesome investment to add to your portfolio. If your plan is to increase your passive income like mine is than buying a turnkey property may be a good fit for you. One of the nice things about purchasing turnkey is that it cuts out a lot the hard work involved when wanting to get into rental properties. Depending on your geographical location, it may not be easy to find a rental property that produces monthly cash flow. You may also find that the best ways of finding a good income producing rental is to buy a fixer upper, then do all the rehab and then rent it out. This can be a very time-consuming endeavor and if you have a full-time day job, it will make it harder to do. Which is why I decided to start investing in out of state turnkey rentals. With my day job, I just don’t have enough time to buy a fixer upper, do all the rehab, deal with the stress involved in rehabbing and not to mention, there just isn’t any good deals left in my market. I really think investing in real estate can be the fastest way to early retirement which is why I am adamant about investing in rentals. I have now successfully bought three cash flow producing turnkey rentals while I have attempted to buy five of them. That’s right folks, I have backed out of two different turnkey purchases I was under contract in. Been there, done that!! I have spoken to at about a dozen different turnkey providers, multiple property management companies and am now pretty familiar with the process of buying a turnkey rental. My plan for now is to buy at least 10 total turnkey properties and then re-evaluate to see where I stand. With my turnkey experiences, I have already had the luxury of helping out other people thinking about going turnkey and part of the reason why I created this blog is just for that. If I had the kind of knowledge on turnkey rental properties I have been writing about here on my Cash Flow Diaries when I was first starting out, oh man! it would have made my life a whole lot easier. To try to make life a little easier for you, I have created a step by step guide on how to buy a turnkey rental property. This little guide should put you on the correct path and arm you with enough knowledge to understand what the process is like. The steps below are the steps I have taken and will take when looking for my next turnkey. You may or may not go through all these steps when you purchase as the situation may vary for you but for me, it has proven to be an effective way of getting my turnkey rentals. If you are thinking going turnkey, it’s most likely because you live in an area where you can not find good cash flow producing rentals. One of the first things you want to do now is find a city that you want to buy in. It is very important you do proper research on picking the right market to invest in. For example, I don’t think it is a good idea to buy rental properties in a city that is consistently declining in population and you probably shouldn’t either. Click the following link if you want to read more about how I chose my market to buy turnkey rental property. Ultimately, my plan is to have 4 to 5 properties in each city and right now I am concentrating on one city. Now the next thing you want to do before you begin your turnkey adventure is to secure your financing. If you do not have financing in place, there is just no point in taking the time to do all the research needed when finding a turnkey property. If you are paying all cash, then great, you can skip this step. For most of us, getting financing will be top priority at this point. Find a lender who is licensed in the state you chose from step 1. Get qualified, and make sure you will be able to purchase. It is a good idea to find a lender that is licensed in multiple states because if you are serious about retiring early with turnkey rentals, you will need plenty of turnkey properties in your portfolio. Keep in mind it is a good idea to not buy them all in one city/state. For diversification purposes, you should buy some rentals in one city/state, then other rental properties in a different city/state. If your lender is licensed in multiple states it will make your life easier to continue working with the same lender on your future purchases. You have financing in place, you know what city you want to buy in and now you want to find all the turnkey providers in that city and research the crap out of them. You don’t want to work with just any turnkey provider. They are all different. Some are bad, some are okay, some are good and some are great. You want to find a turnkey provider who is looking out for your best interests. One that wants to establish a long-term relationship with you where you all make money. You also want to find one that has good properties. Google “turnkey sellers”, “turnkey properties”, “turnkey providers” and append your city name to the search and see what comes up. You can also go to sites like turnkey-reviews.com who lists a bunch of turnkey providers and also lists reviews on some of them. There is also biggerpockets which is a real estate forum. There are plenty of turnkey providers you can find on the biggerpockets forum. Once you have a selection of turnkey providers you are thinking about doing business with, make sure you interview them and ask them these top 31 question to ask a turnkey provider. Now that you feel comfortable possibly working with a few turnkey providers. Its time for the fun to start! Start checking out all the available properties they have in inventory online. Make sure the properties fit your criteria model. If you don’t have a criteria on the kinds of properties you want to get, feel free to see my turnkey criteria to help get started with that. 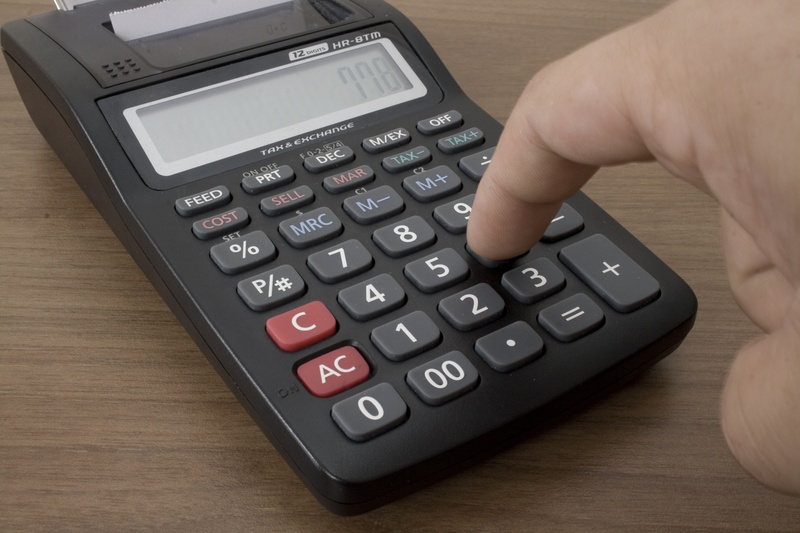 I urge you to take the turnkey providers calculations/numbers with a grain of salt. Do your own research to confirm rent prices, tax values, estimated vacancies and estimated repairs. You also should do your own research on determining if the location of the property is in a good area. Make sure you stay away from high crime areas as these types of properties will most likely end in failure. And you don’t want that. Trust me!! If you can’t find any available properties that do fit your criteria, wait for one to be available. There is no need to rush into purchasing. One will come up, just be patient! Never, ever tie your emotions to a single property. This is a business and you should stay in business mode when finding turnkeys. Never, ever tie your emotions to a single property. You have found a potential turnkey property that fits your criteria and you are excited about moving forward. Yeah, good job!!! It’s a great feeling when you find a property you like and it fits all your criteria. Put this puppy under contract!! Keep in mind you are not even half way through the process so don’t get your hopes to high just yet. There is still plenty of work and steps needed to make sure this turnkey property will be a winner. At this point in time, you will sign the required purchase agreements, any addendum’s you or the turnkey provider might have and send off an earnest money check. Believe it or not, not all turnkey providers require earnest money deposits so make sure you confirm before hand. I highly recommend you include an addendum to back out and get a refund on your earnest money if the inspection or appraisal does not meet the requirements. This is a good method to cover your behind in case it all falls through. Ordering your inspection is a very important step and you absolutely must do this no matter what. Regardless of what the turnkey seller tells you. You should order this as soon as you get the purchase agreement and paperwork handled. If your turnkey property is still in the process of being rehabbed, you will want to wait to order your inspection until after the rehab is complete. The inspection will determine if your turnkey property is a pig or not. A pig is when a property has underlying problems that are not visible externally. Many times, a turnkey provider may just “put lipstick on a pig” and try to sell you a house that is visibly attractive but full of other problems internally. This is the last thing you want and if you do land a pig, its time to back out and walk away. To find an inspection company, google “inspection company” in the city you are working and find a reputable inspector. I personally like using Yelp to find them because they provide helpful reviews. You can also network with other real estate investors in your city and get solid recommendations on good inspectors. Don’t skimp out on this! You want a good inspector who will find all the problems. The inspection report is in hand and you now have a solid grasp on what kind of property this is. Don’t freak out just yet based on the problems and issues the inspector found. Now is the time to send the report to your turnkey provider and ask them to fix the issues at hand. In a perfect world, the turnkey provider will repair all the issues on the report. This however does not always occur. You will need to find out which ones they will fix and determine if this is suitable for you. At least make sure they take care of Major/Critical items listed on the inspection report. After fixing the repairs, you will want to order a re-inspection so that the inspector can come out and double-check the repairs made. If you are on a tight budget then you can have the turnkey provider provide proof that the repairs were made by taking before and after pictures. If the turnkey provider does not want to fix the repairs or you find that the fixes they do want to fix are not sufficient to your demands, it’s time to back out of the deal. Know when to walk away from a bad investment! Don’t feel bad about walking away. This is your future investment and if it’s not what you want, you will regret it later on. This is part of the game when buying turnkey rentals. I have actually already had this happen to me twice and backed out of two different turnkey rentals I had attempted to buy. It’s okay, the world is not over. It can happen to you. Hopefully it wont! Know when to walk away from a bad investment! Typically the inspection and appraisal is ordered around the same time however I urge you to NOT order these together. Wait and order the appraisal AFTER you get your inspection. Only when you are satisfied with your inspection and repair negotiation should you order the appraisal. The reason for this is that if you do end up backing out of the property because of a failed inspection, you just wasted $400 on an appraisal. Don’t do this and learn from my mistake. The first turnkey I backed out of I did the mistake of ordering the inspection and appraisal at the same time and ended up losing the costs for both of these. I learned my lesson real fast! Once the appraisal is complete, assuming it meets the purchase price requirement, you can proceed to the next step. If your appraisal does not meet the purchase price requirement then this also may be a good time to walk away. I have not had this problem yet but it is always a concern for me. It is a really good idea to visit the city you are wanting to invest in, meet your turnkey providers, see their operation first hand and see the property you have under contract. This particular step can be done anytime before this step as well. An alternative is to do this step after step 3 that way you can visit all the turnkey providers you have researched. This would be a great time to do tours with all these companies and see the kinds of properties they have available. This is actually the way I did it when I bought my first turnkey and you can read about it here. For future turnkeys however, I will come up and visit after the inspection so I can see the house I am purchasing after rehab as long as I continue buying in the same city. I would recommend that if you are a first time turnkey buyer to do this step after step 3. We are now getting to one of the final steps here with your new turnkey rental property and it could be one of the most important. Having qualified tenants will make your life easier and keep your cash flow coming. If your turnkey provider hasn’t already found qualified tenants then it is a waiting game at this point. Depending on your lender and financial situation, you may have to secure tenants, get a lease agreement and send it off the to lender before you can close. If you are purchasing all cash I also recommend that you wait to have tenants in place before you close. A true turnkey provider will have this step completed for you before closing. If you choose for whatever reason to use a different Property Management company, make sure you interview them properly and ask these top questions for a property management company. You don’t have to use the property management that the turnkey seller provides. This should be negotiable and if you don’t like the property manager being placed, find one that you do like. You made it!! You have the clear to close and now an appointment has been set for closing. Don’t you just love getting a clear to close!!?? Chances are that you are out of state and this is not a big deal. The title company will send out a notary to your location to sign all the closing documents. Make sure to review all the final documents, make sure the numbers look good and actually read what you’re signing. Whoohooo! It is a very good feeling after this step is completed. Go grab yourself a margarita to celebrate. Don’t you just love getting a clear to close!!?? Step 13) Time to GET PAID!! Yeah!! You’ve closed and now you are an official turnkey real estate investor. Congratulations on your new turnkey! Now you sit back and collect your payments. You also however will sit back and wait for any repair/issues to come up but hopefully you wont have too many of these. Especially your first year. Always include estimated repairs and vacancies when running your numbers and keep this money somewhere collecting in your bank account. Do not use this money, you WILL absolutely need this money later on. Not having cash reserves to handle repairs, vacancies and unexpected expenses will result in FAILURE. You don’t want that now do you? So make sure you do it right! Not having cash reserves to handle repairs and vacancies expenses will result in FAILURE. These are the steps I have taken on purchasing my turnkey rentals and are the steps I will continue to take on future investment properties. This may not be the same steps you go through and your experiences with purchasing a turnkey may be completely different. If so, please comment below and let me know. I would love to hear about other turnkey investors and what experiences you have gone through or are going through. There is not a ton of information out there from actual turnkey buyers so by sharing all this knowledge and you contributing as well, we can build knowledge and help our turnkey buying process get better. Us turnkey buyers need to stick together!! Don’t be shy! Speak up! If you’d like to see details and returns on my last turnkey purchase, click here. Can I ask what the process is in getting out of a contract? How much of a loss does that incur. The process it to make sure you have an addendum clause before you sign the purchase agreement that states you can back out if the inspection/appraisal is not good. Most purchase agreements include the inspection clause. Most of the time, you will lose your earnest money though that you deposited. Thats pretty much it. Ha, yeah believe me man, last thing I want are pigs and Ive already backed out of two pigs. Thats part of the game is filtering out the pigs. It doesnt get easy until AFTER you close. But its worth it, in my opinion! Great advice, but I would still be nervous about buying property too far away. I would be wondering about a future major expense from getting a bad tenant in, that I had no control over. Never give up the ability to decline a tenant, or the ability to choose the tenant selection criteria. I dont blame you one bit bud. That was one of my big concerns as well. Its very hard to find a good property management company that you can trust to handle that for you. Very hard! Speaking of bad tenants. What is your criteria for a quality tenant? Does the PM determine the criteria for your tenants or do you determine the criteria and the PM has to find a tenant that fits your criteria? Thanks! Thanks for stopping by. Pretty much everything is negotiable with your PM so you if you wanted to set different criteria then what the PM already has, it would be something you could speak to them about implementing for your tenants. If you properly vet a PM and find a good one though, you will most likely find that their criteria standards are good. Out of the 2 PMs I use, they both have good tenant screening and criteria in place so I let them handle that although I have final approval once they find someone good. 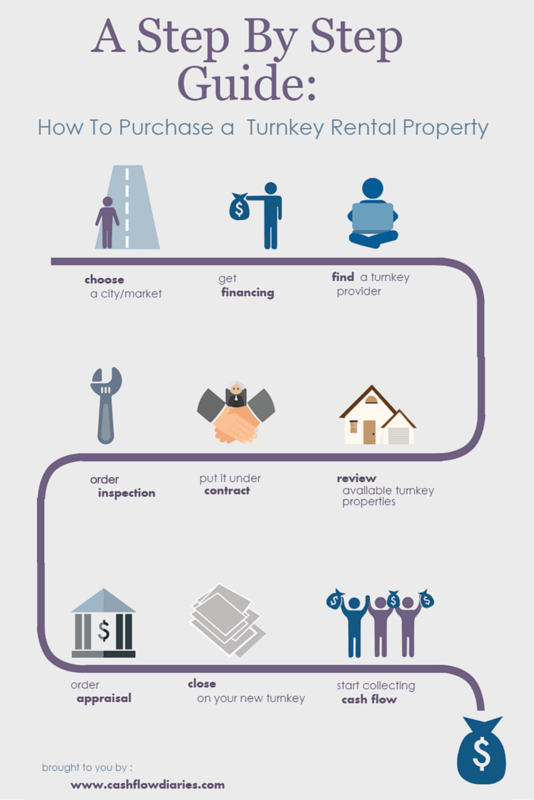 This is such a great post and overview of the turnkey process! You have the structure for a killer e-book or online course here (http://www.blogetization.com/building-an-online-course/). Seriously: flesh this out with some more information, add in details from the linked to posts and sell it! Hi John! Wow thank you for the kind words. I really appreciate it. I read your post, very interesting. I just may do that, its just a matter of finding the time and fleshing out the additional information like you said. Will consider it for sure. I would like to see which TK providers you currently work with as I am doing my own research and would like a referral. These posts are very informative. So glad I found them. If you don’t mind, can you help me better understand the turnkey company’s role in finding me tenants? Is that only if I use their property management company? Hi Tee, Glad you find the post informative. Turnkey companies will find, screen and place the tenant for you. One of the cool things about going with a turnkey solution is that when you close on the purchase of your new rental property, the property already has a paying tenant so it cash flows from day 1. Well at least MOST turnkeys do that. But to answer your question, if you do not want to use thier property manager then you need to tell them up front so that they DO NOT place a tenant for you. You dont want them finding a tenant for you if they will not be managing the property. They would have no incentive to screen and place a good tenant for you. Its pretty much all negotiable. 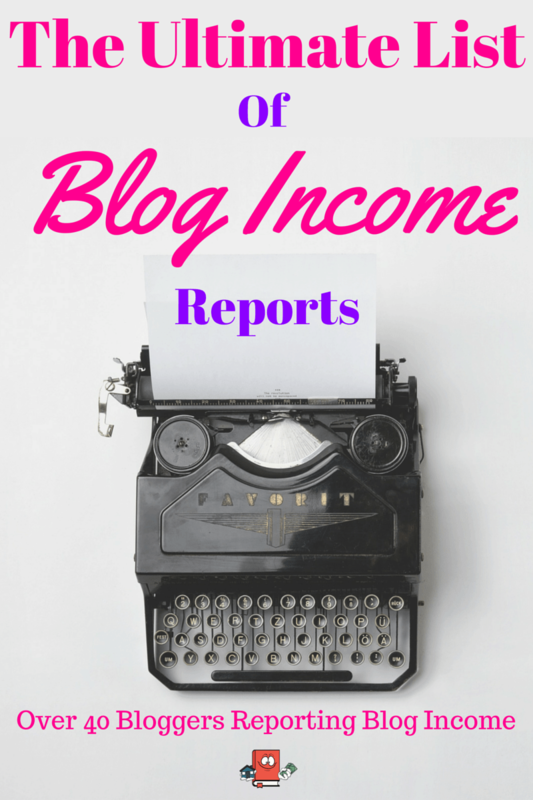 You have a fantastic blog! I am so glad we connected on Twitter. 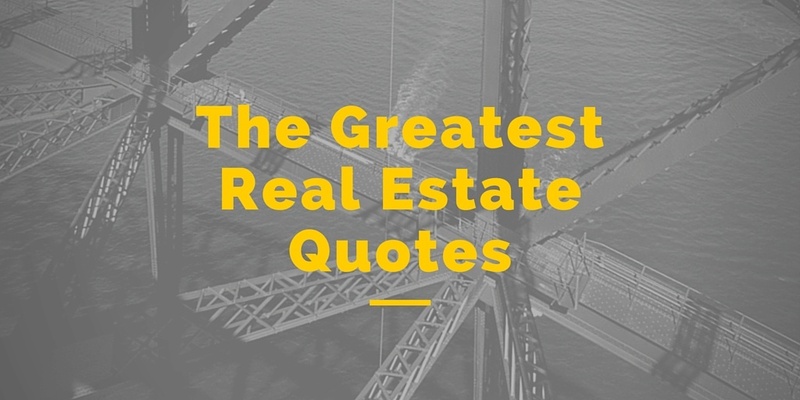 I have learned so much about investing in turnkey real estate by reading your blog. You have empowered me to step out of my comfort zone of stocks and bonds to take a deeper look into turnkey real estate investing. I appreciate you for that. How do you go about making your offer to the TK provider? I’m building relationship with 3 TK providers in 2 cities I want to invest in. I just spotted something interesting for me. But how do you really go about making for first offer? Is the listed purchase price negotiable? Some of them will list above market value, and what’s your experience in these providers flexibility in dropping prices? Hello – I’m considering getting into rental properties and one of the first things I read is that you shouldn’t purchase real estate investment in your own name (use limited liability companies or limited partnerships) to protect your personal assets. Just wanted to see if this was a step that you took before getting into your first turnkey property? Hi Ken! If you are paying all cash, then absolutely put them in an LLC, if you are taking mortgages out on them then they have to be under your name. Awesome blog. I’m just closing on a fourplex in Northern CA and was looking at your REI sheet. Thank you for clarifying how to get started in turnkeys. It’s time to move out of state and have cash flow rather than just having renters pay down the asset. Great Blog! Great articles and posts. I am interested in getting financing as well for my first rental property. The issue I have is many lenders have a minimum lending amount of 50-75K. Can’t find lenders who can provide financing for anything under than 50K. Some lenders are also asking 20% down on a four unit property even though I intend to live in one of the units on the weekends in that city due to my part time job (Owner occupancy rules?). Can you suggest a few lenders you are familiar with? Thanks.